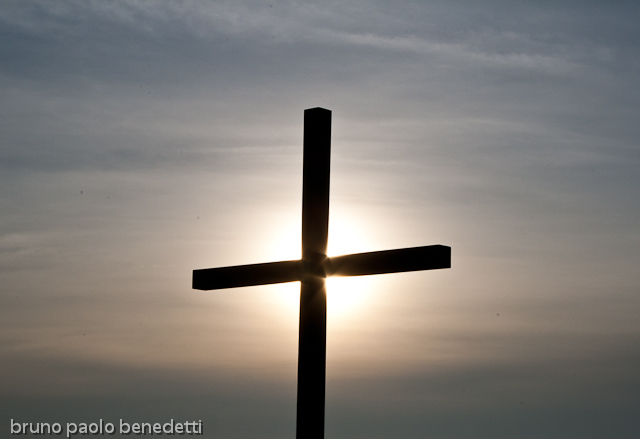 Picture with a cross on foreground and the sun in background at sunset in Tuscany, in Italy. Symbol of the resurrection and enlightenment. Picture taken from below high side. Winter season, soft colors. he sky is covered by thin clouds making light reflections in the sky.